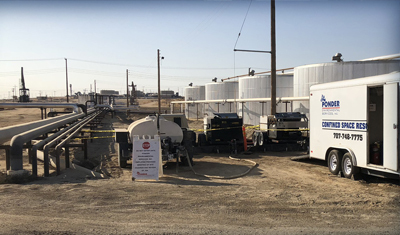 Robotic Manway Cannons : Ponder Environmental Services, Inc.
Utilizing a mechanical cleaning system with modern technology and hardware offers a safer, more efficient approach to oil tank maintenance. Historically, cleaning the inside of oil storage tanks has been a manual, time-consuming and risky endeavor. 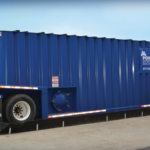 Protecting workers and the environment has been difficult due to the hazardous nature of many of the stored materials plus the sheer size and confined space inside storage tanks. 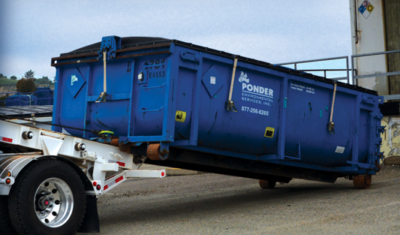 Ponder Environmental delivers state-of-the-art robotic cannons that are temporarily mounted on side or roof manways, thus reducing the risk of hazardous materials escaping the storage tank during the clean-up process. Trained technicians, working from a self-contained control center situated at a safe distance from the affected tank, operate the mounted robotic manway cannon by using the cannon’s internal camera and light system. 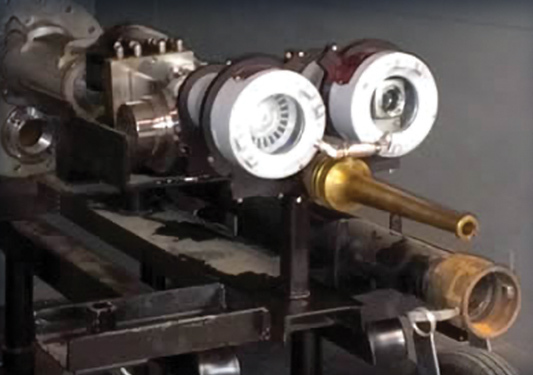 Once mounted on the manway, the robotic cannon liquefies the sludge as needed to break down and keep sludge moving. 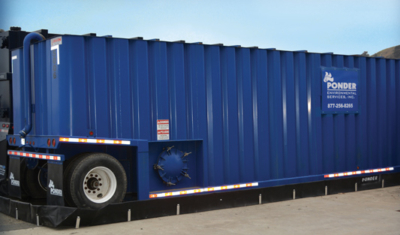 Depending on the properties of the stored material, a cleaning solution can be used to expedite the cleaning process. 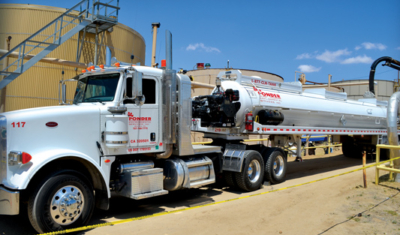 The liquefied sludge is quickly and safely removed from the storage tank by a Ponder Environmental pumping system or by vacuum truck, depending on the scope of the project. 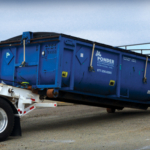 Ponder Environmental then transports the collected material to the appropriate disposal facility in compliance with all applicable regulations.